Happy Halloween! I knew when this iteration of my column landed on this day I had to showcase the genre’s spookier offerings. That means giving you a varied list that captures everything we know and love about this occasion, from the psychological terrors to the more lighthearted elements. Get yourself in the Halloween spirit by starting up one of these RPGs. Who knows? You might just find a new game to try, or be reminded of a classic you’ve been meaning to revisit. As Square’s first M-rated game, Parasite Eve delivers plenty of tense and startling moments, as you go toe-to-toe with an entity hellbent on destroying mankind through spontaneous combustion. Its comparisons to the Silent Hill and Resident Evil series are apt, as you fight your way through mutated creatures and seek answers. Close corridors and sensational bosses with everything from a Spider Woman to a T-Rex keep things interesting, and most importantly, you on your toes. Halloween is really about one thing…trick-or-treating! Double Fine’s Costume Quest captures this aspect wonderfully as you travel across a neighborhood in search of a monster who kidnapped your sibling. Along the way, you pick up candy, fellow trick-or-treaters, and items for your costume. The candy worship is real. With a quirky cast and charming art style, Costume Quest shows off the childlike wonder of Halloween. One of its creepiest scenes involves a haunted house, which notches its place on this list. Throw in the fact that you’re a just-turned vampire figuring out your life in modern L.A., which includes navigating among the bloodsuckers and defining yourself in your new circumstances. Can you blend in as a vampire? What rules do you follow, and what do you break to merely survive? There’s a reason Vampire: The Masquerade Bloodlines has become a cult classic – its intriguing world with plenty of choices to make in it. For more, read our feature on why Vampire: The Masquerade has one of the best gaming worlds. Bloodborne is all about atmosphere, and this gothic, Lovecraftian-inspired world has its share of horrors. 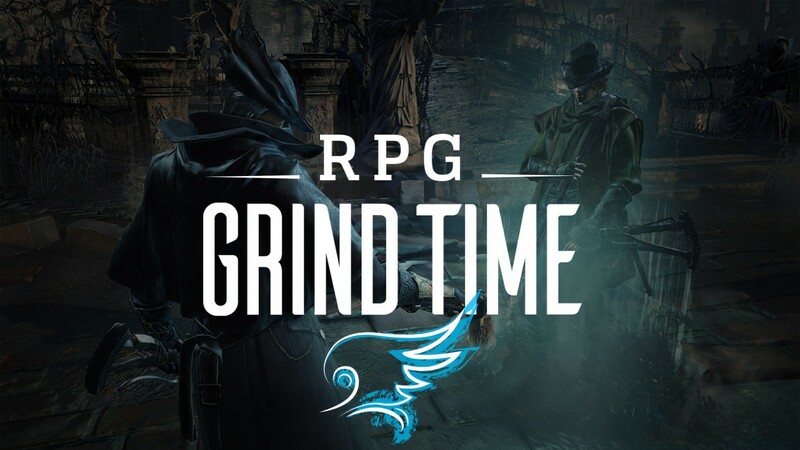 The cursed city of Yharnam is full of twisted humans and werewolves, with death around every corner. It challenges your perseverance, but is rewarding for how the mysteries unravel the deeper you get. Strong visuals and tense music make for some memorable boss battles, with plenty of bloodshed and hard-fought victories. Are you brave enough to enter this sinister world? 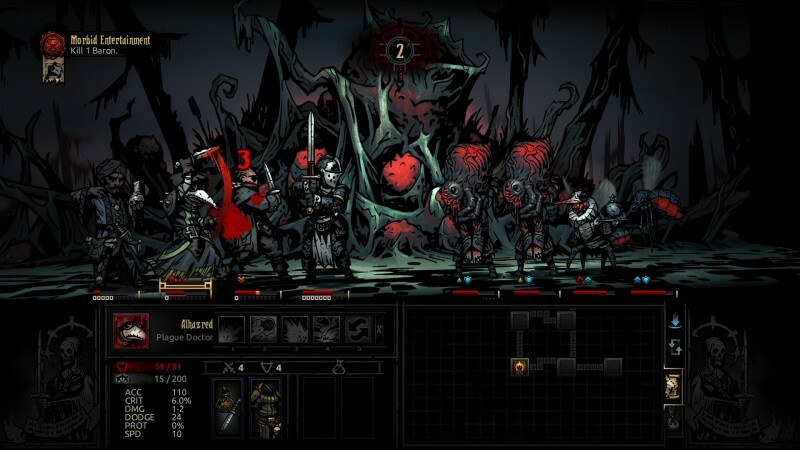 Another Lovecraftian-inspired game that revels in its atmosphere, Darkest Dungeon explores the psychological terrors that come with confronting your fears. Your family has unleashed an unspeakable evil on the kingdom, and it is up to you to muster a band of adventurers to combat it. Along the way, you must balance your stress levels and fend off disease, or risk your characters losing their sanity. Punishing difficulty and permadeath make the journey to survive all the more horrifying. While other Persona games have had fun gimmicks like jumping into a TV and starting your own gang of phantom thieves, Persona 3 borrows from earlier entries by being just flat-out dark and spooky (as if shooting yourself in the head to summon your Persona isn’t a creepy enough visual). You explore the Tartaus dungeon during The Dark Hour, which causes the real world to pause, keeping its everyday inhabitants in coffins unaware of what’s going on around them. By night you fight shadows and unique bosses and by day you attend school completing exams, joining clubs, and making friends. Truth be told, this game is hefty and gripping enough to get you through all the upcoming holidays. A mix of action, RPG, and survival horror elements, System Shock 2 raised the tension by constantly placing you in precarious situations, where you felt powerless trying to fend off gruesome monsters and ghostly apparitions. Between the eerie sounds of the monsters and hiding in places like closets until they pass, being stranded on the Von Braun ship is a frightening experience. Death is all around you. Bodies hang from ceiling pipes, and you’ll also stumble upon those who turned the gun on themselves to avoid turning into SHODAN’s slaves. Along the way, you listen to audio logs that slowly let you piece together the horrifying realities of the Von Braun. System Shock 2 tells a captivating tale that makes you want to learn more, while keeping you paranoid about your next move to get there. The Shadow Hearts series got zanier as the entries went on, but the very first game focused more on horror and supernatural elements as protagonist Yuri tries his best to save Alice, who has been captured by the sinister Robert Bacon. Mixing in real-world places and history, Shadow Hearts creates an eerie alternate reality, and at the same time, a great love story in spite of it all. For more on the series, check out our Remembering Shadow Hearts feature. While Diablo is certainly about the collecting the loot and cooperative play, this popular and captivating dungeon crawler also actually has you tearing through the hordes of hell, complete with mighty powers that bring demons and angels to their knees. Your main mission? Take down Diablo. To get there, you must defeat gravediggers, dark cultists, succubi, and more. Slaying these horrific enemies is enough to get you the Halloween mindset, plus you can collect some sweet loot and constantly update your “costume.” Not to mention it just came to Switch, if you’re looking for something to play there. This cult RPG is more on the lighthearted side for your Halloween needs. As a child, you get tossed into an underground world full of towns, caves, and monsters. You can befriend, flee, or kill these creepy creatures. Along the way you meet the skeleton Sans, who is pretty lazy, always up for a good prank, and makes skeleton-related puns. While mostly laidback, Sans also has times where he’s extremely serious, adding a weird sort of creepiness to the journey. Undertale isn’t afraid to break the fourth wall with its gameplay elements, making for some cool and clever encounters that more than make it worth playing.